Following the traditional practice of raising our cattle solely on a diet of grass and locally grown hay allows for our valley's unique terroir to impart flavor and texture that distinguishes it from other beef. Sweet Grass County doesn't have a formal appellation like wine, but perhaps some day it will. Spending their entire lives on pasture in the Boulder River valley, our cattle are never treated with antibiotics or growth hormones. 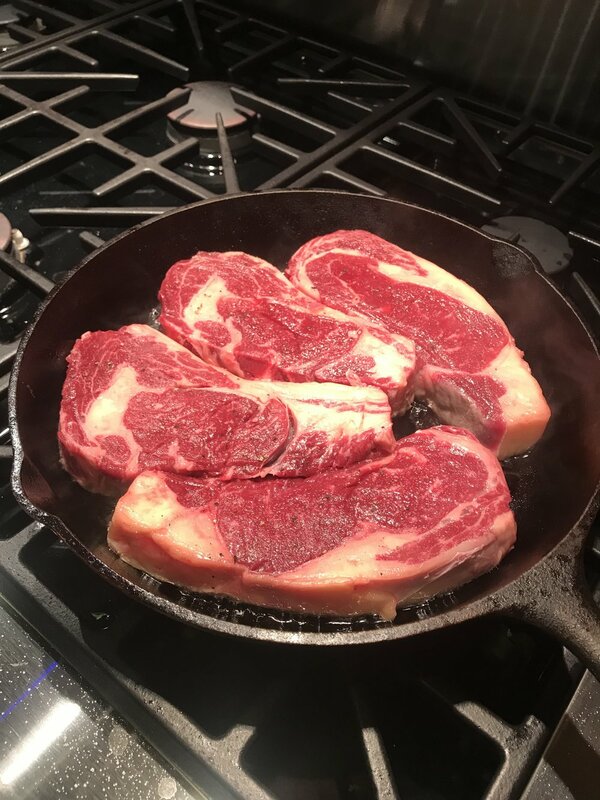 Our beef is grass-fed and grass-finished, dry aged for 21 days, and butchered in a small, family owned USDA certified facility. It is cut, vacuum sealed, and frozen for optimum quality. Freezing our beef, rather than selling it "fresh" allows us to butcher our meat at just the right time for the best flavor and quality. You shouldn't pick fruit before it is at its peak of flavor, and grass-fed beef is no different. We sell the meat in bundles so you can select the mix and quantity that's right for you. Everybody has their favorite cut (we like the burger the most), but we'll leave it to you. We distribute our meat directly to our customers in the Bay Area. Contact us with questions about Hay Mama grass-fed beef.